The government of the Democratic Republic of Congo (DRC) today welcomed the publication by the DRC?s Independent National Electoral Commission (CENI) of results from an 18-month audit of the country?s voter rolls for provincial, municipal and local elections that will take place later this year. The new electoral register will add 197,756 voters, bringing the total number of eligible voters to almost 31 million across the country. ?We welcome these findings from the electoral commission, as well as the addition of almost 200,000 new Congolese voters who will have the opportunity to participate in the local and provincial elections this year,? said Minister of Communications Lambert Mende. ?The publication of this new voter roll is yet another important milestone as the nation prepares for the 2015 provincial elections.? In announcing the completion of its audit, CENI Rapporteur Jean-Pierre Kalamba Mulumba stated that the Congolese people now have ?a reliable electoral register.? He also explained that CENI has invited experts from the International Francophone Organization (OIF) to perform an external audit to assess the validity of these results and that as noted in the electoral calendar, an additional update of voter rolls will take place for the 2016 legislative and presidential elections. The CENI also announced that as a result of its audit, there will be 7,237 municipal seats and 8,925 for the sectors and chiefdoms, all of which will be contested in elections this fall. In February, the CENI published an official electoral calendar that reaffirmed the government?s commitment to free and fair elections pursuant to terms established by the Constitution. ?The timely conduct of each of these [elections] is essential to the strengthening of our democratic government,? said Minister Mende. ?Each stakeholder ? the CENI, the government, political parties, donors and international partners ? should assist in ensuring the proper execution of these elections.? 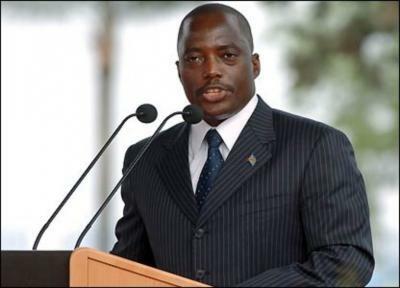 Earlier this month, President Joseph Kabila called on all political parties in the DRC to join him in a national dialogue focused on creating an environment for a peaceful electoral process.